Well…finally ready to get the boat into the water…not just yet – FOG. The fog was so thick you could hardly see six feet in front of you. Needless to say, we waited until it cleared, then made the drive to Sandusky. The yard already had the boat in the water when we got there and the engine was running. 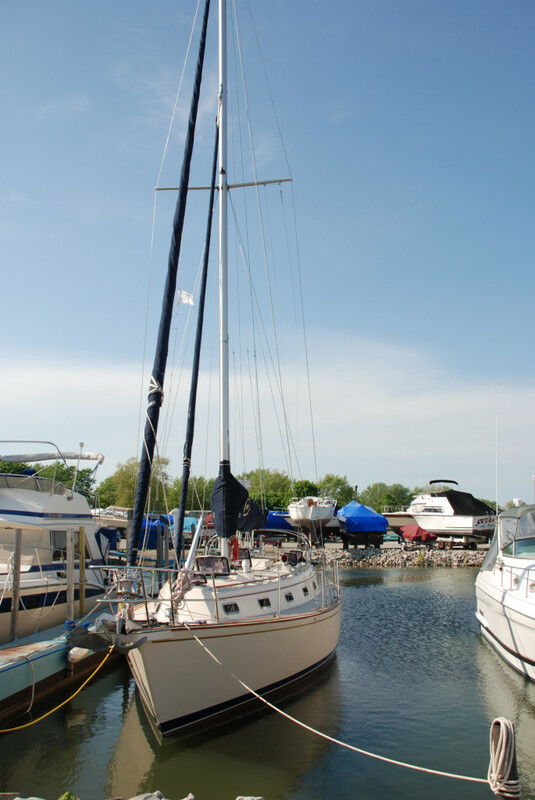 We moved her over to a nearby dock and prepped for the trip to Catawba Island and our dock. This was the first time piloting the boat and I was impressed with how solid and stable she was. Motoring through Sandusky bay and toward the tip of Cedar Point, I noticed the depth guage getting dimmer…and dimmer…and the visibility started getting worse. 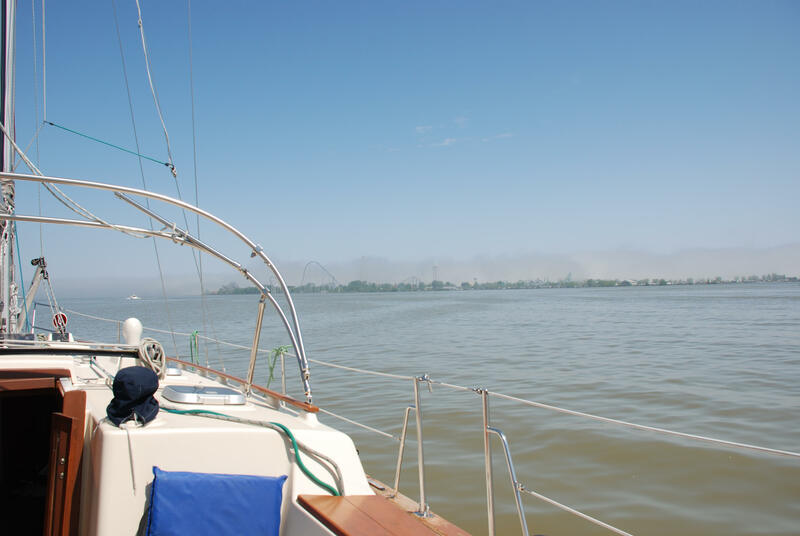 As we entered the Sandusky Bay chanel we lost all electonics and were enveloped with fog. Now let me go back a few weeks to the decision to wait to replace the batteries. We knew the batteries needed to be replaced, but figured they would get us to our dock, and it would be much easier to replace them at the dock than on the hard (primarily due to the weight). Bad decision! I always carry a handheld VHF and map GPS. Good decision! So I pressed on using the handhelds, but the fog just got worse. It was pretty scary hearing the sounds of engines and not being able to see where they were or what they were, but we kept a good watch and a slow speed, and the fog lifted completely to a bright, clear day as we approached Catawba Island. The first time docking a new boat is a little intimidating to say the least! But we got her secured with no incident. This entry was posted in Getting ready to go on May 20, 2011 by bwehmer.